On the plus side living in Minnesota we have what almost seems like years of winter. In which many pests hibernate or migrate for a little while. Although some still remain and many will return. Here at EcoTech we would like to keep you aware and prepared to keep those pesky pests at bay and away from your domain. Whether you think they are creepy crawlers or they are your friends – either way they do your home harm by keeping their residence at your homestead. Contact the local Minnesota Exterminators! Keep your house neat and tidy, when trying to keep small intruders out keeping up with the chores around your home help the prevention of an infestation. The less likely for a snack to be had on your floor the better chances you and your family live pest free. Seal the cracks in your home, when looking to infiltrate your premises the prowlers need to find an access point that will penetrate the uninvited guest in. Sealing up the cracks in your basement foundation even doors and windows give the trespassers less odds to enter. Remove shrubbery from the perimeter of your residence. Having a natural food source for most problem pest right in front of your home is a bad idea. Although it does look beautiful having plants and flowers near the foundation is asking for a gatecrasher to come in. Apply a residual pesticide, keeping up with the latest pesticides is a good habit to get into. On the daily there are more and more different approaches to pest control. What you can do is use natural oils and vinegar. Supposedly pests don’t like the fragrances. Call a professional exterminator to apply a residual pesticide around your home and in the cracks or conceivable entry’s. Keep outdoor lights off, drawing attention to possible prey is another practice to try to stay away from. Essentially, what you are doing by keeping the outside lights on is luring in a meal for the creepy crawlers. The more they hang around the higher likelihoods are of entrance. 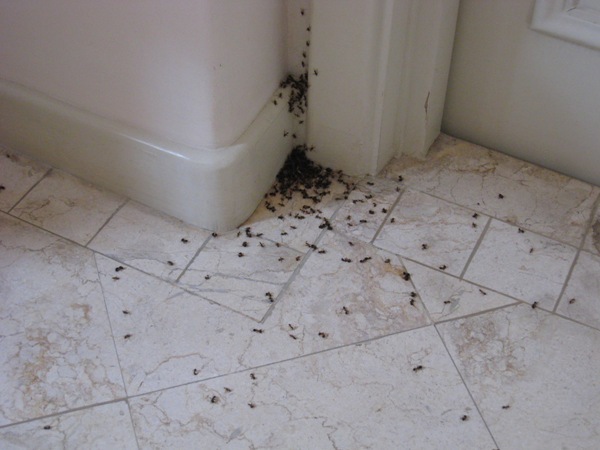 Contact a professional exterminator to insure proper disposal and guarantee for no return. If you have a problem small or even an infestation. Give us a call at EcoTech we provide professional, licensed, and insured technicians. 763-785-7474 call us today to get rid of your problem and insure there won’t be any more!